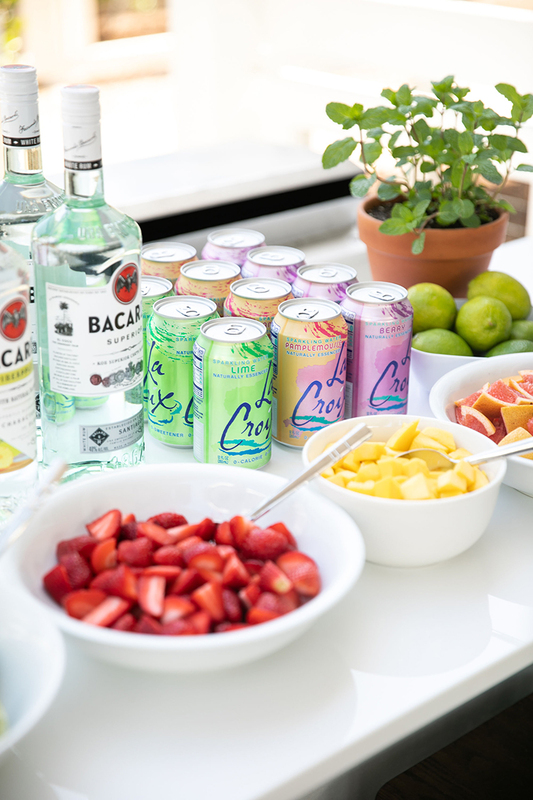 Happy Friday, y’all! 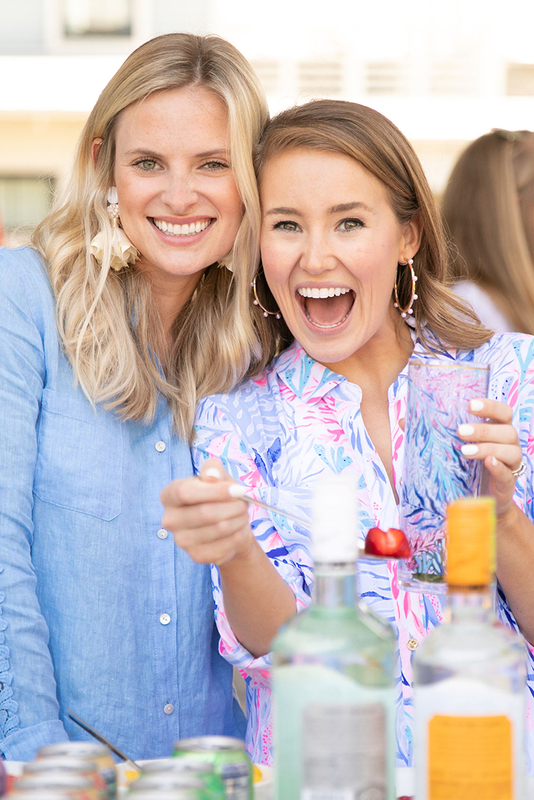 Typically, I reserve the last day of the week for one of my very favorite blog series… Latest & Greatest… but today, we’re doing something a little different! 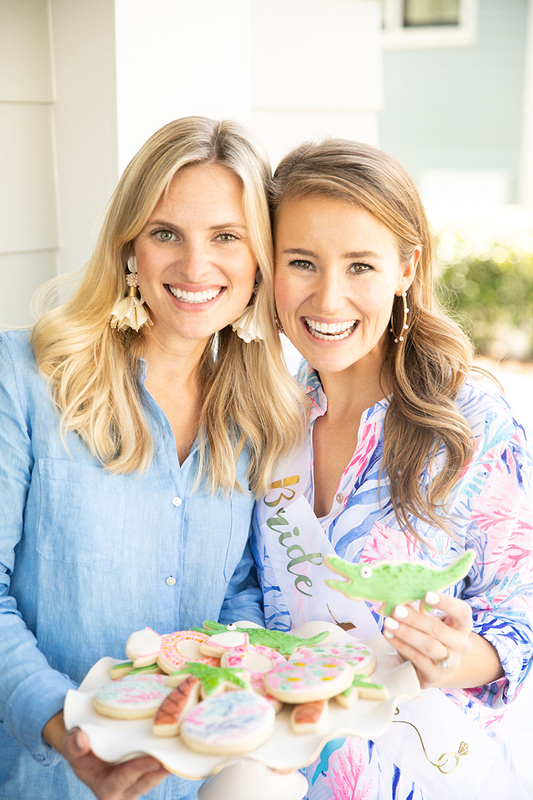 Yesterday, I hinted that I’d be back with more details from my Lilly Pulitzer bachelorette weekend, and that’s exactly what we’re going to do! 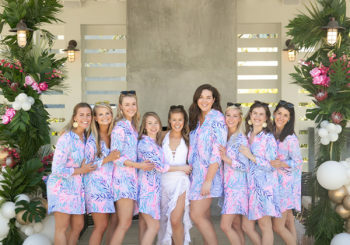 After our stunning poolside brunch on Friday morning (see all of the details here) my girls and I headed into town for lunch. 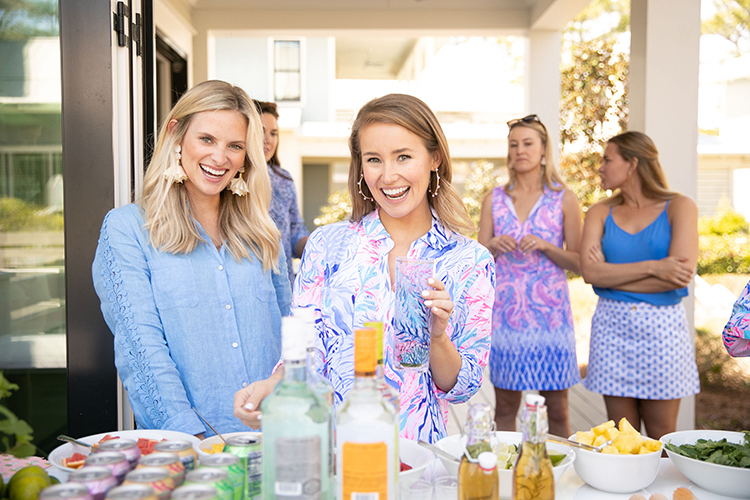 We enjoyed a break from the sun, some delicious seafood, and then returned to our house, One in a Vermillion, to see that the Lilly Pulitzer team and Elisabeth and Butter had set up the most beautiful array of afternoon activities. Elisabeth, who you may know from Elisabeth and Butter, is one of my very favorite people in this world. I had the privilege of meeting her about a year and a half ago, and have loved following all of her delicious recipes ever since. 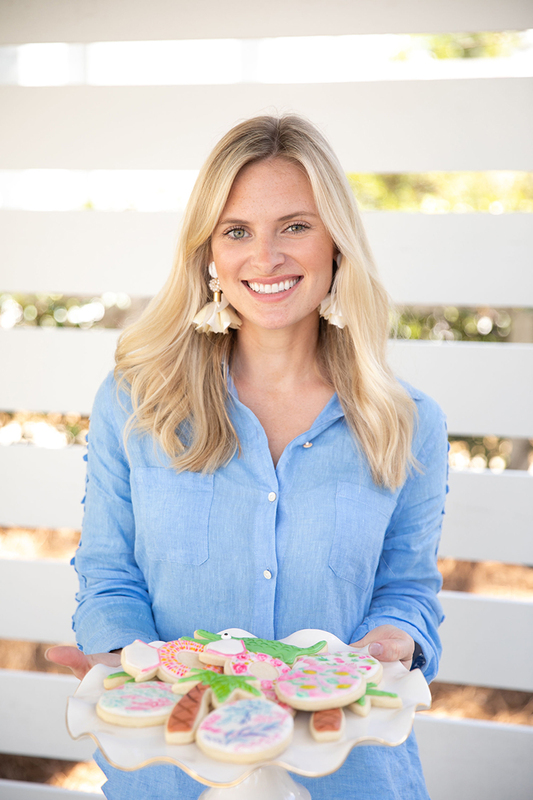 For as long as I’ve known Elisabeth, I’ve dreamed of taking one of her famous watercolor cookie painting classes. 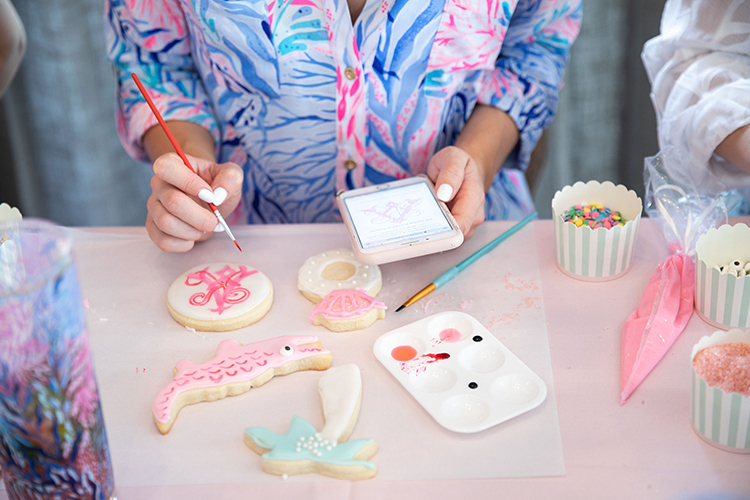 Yes, cookie painting! I’ll be honest with you, it was even more fun than I anticipated, as if that’s even possible. 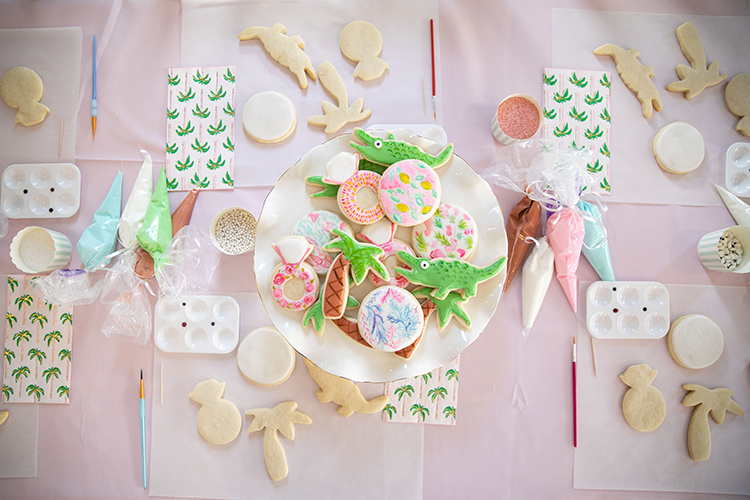 She had prepared adorable sugar cookie shapes for us that all tied into the theme of the weekend and the wedding… palm trees, diamond rings and even alligator cookies for me and Andrew’s move to Gainesville, the home of the University of Florida. I just about died, so cute! 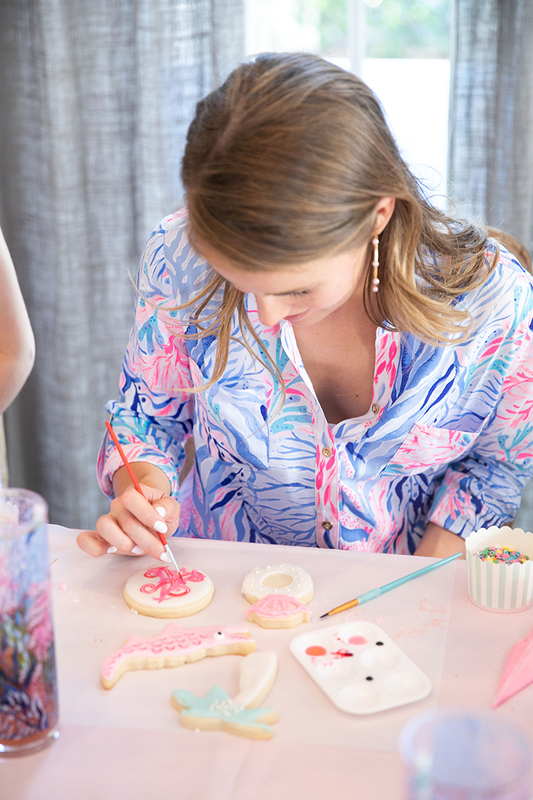 After her demonstration, where we learned so many practical tips and tricks for making our own decorative cookies, my bridesmaids and I all buckled down on our creations. You could have heard a pen drop we were so focused! 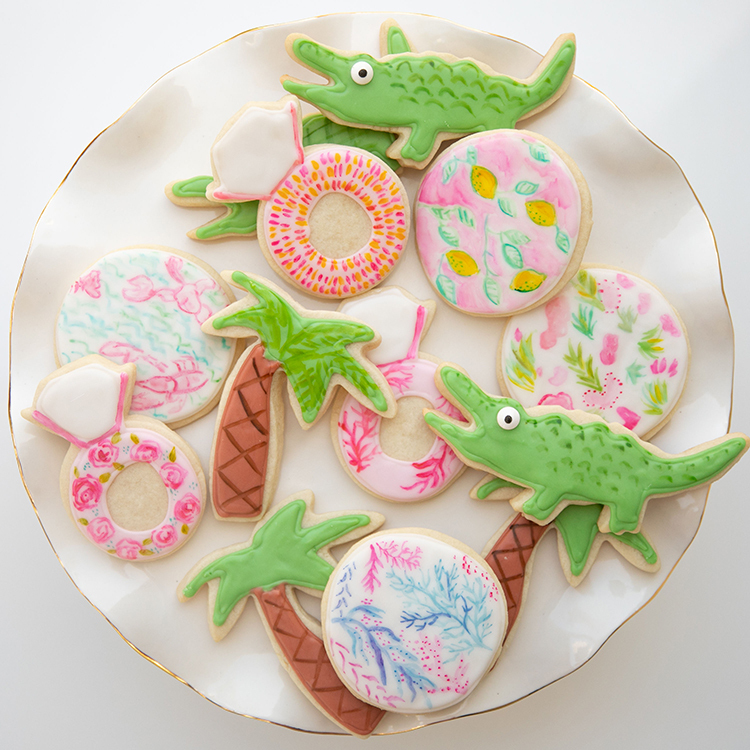 We created lots of pink, blue and green alligators, pearl-embellished palm trees and patterned diamond rings of all varieties. 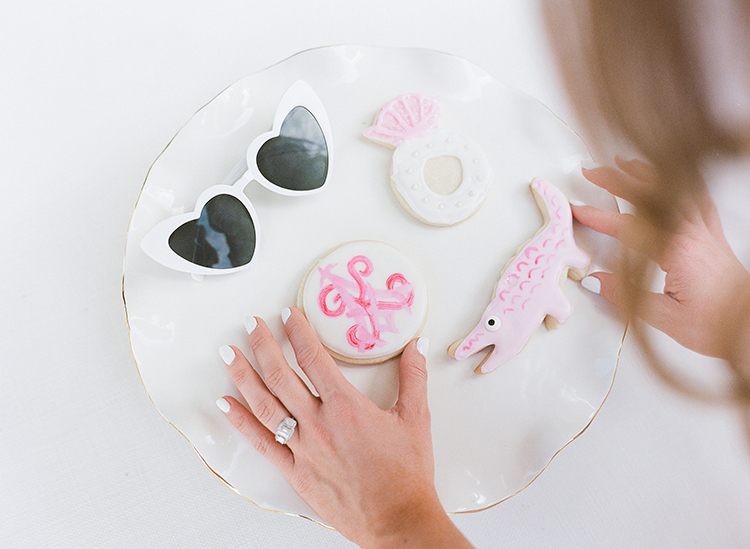 I took to the simple circle cookie to recreate our wedding monogram. 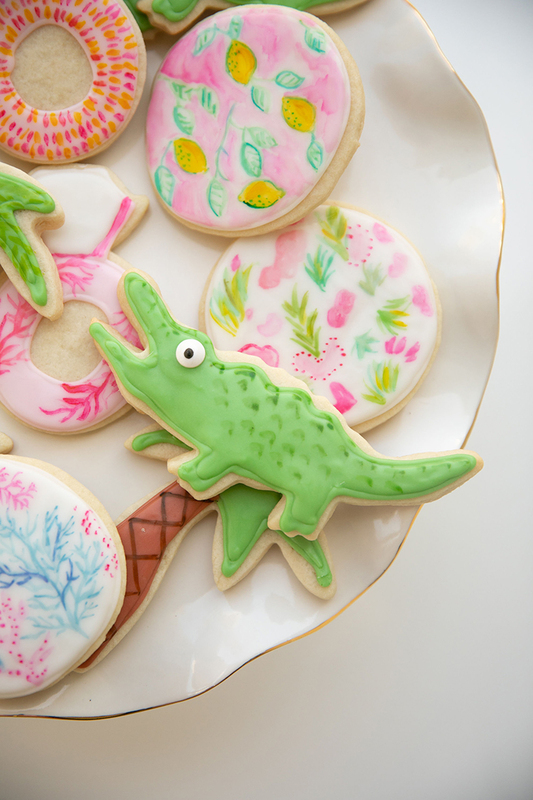 Y’all, it turned out so cute that I couldn’t bear to eat it! 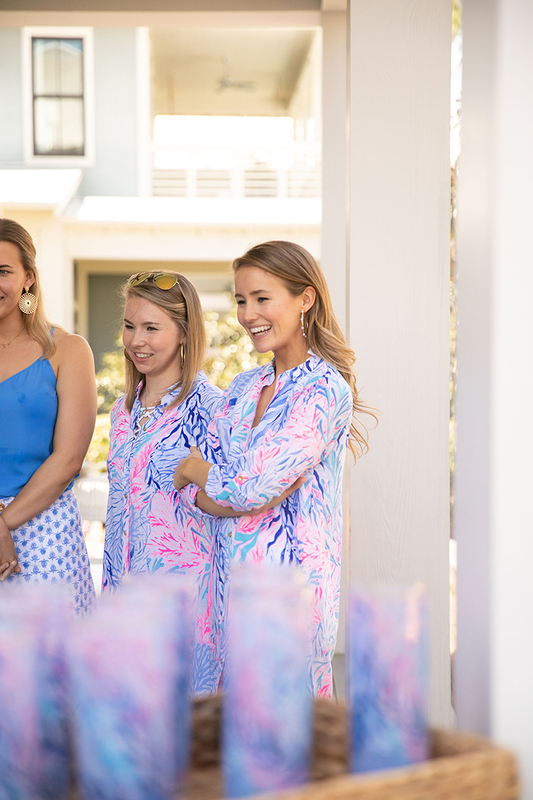 Before we knew it, the whole afternoon had flown by and it was time to get ready for sunset photos on the beach before our final dinner with Lilly Pulitzer. By 4pm, I truly felt like I’d had enough fun for an entire week, let alone weekend. The best part, though, was that this was just our first full day! 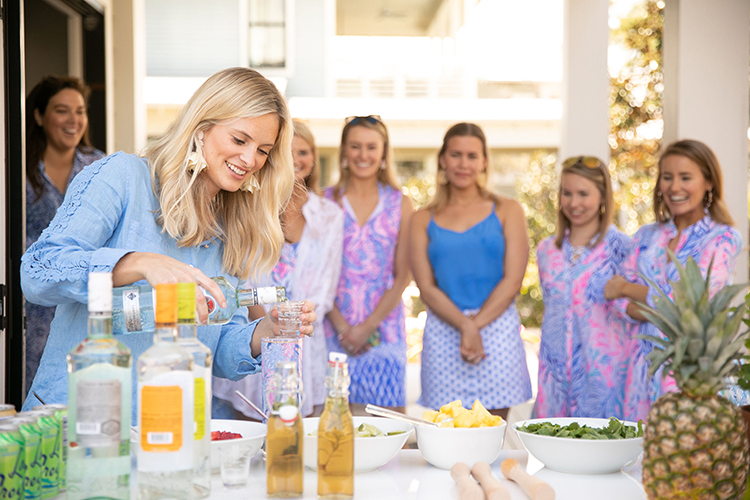 Again, I can’t thank the Lilly Pulitzer team enough for orchestrating all of the fabulous fun and Elisabeth for spending the afternoon creating with us! 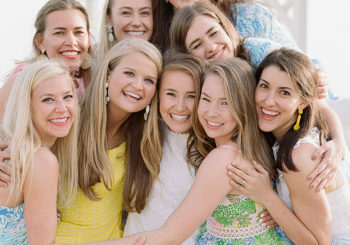 If you’re ever on 30A, I can’t recommend her classes enough. 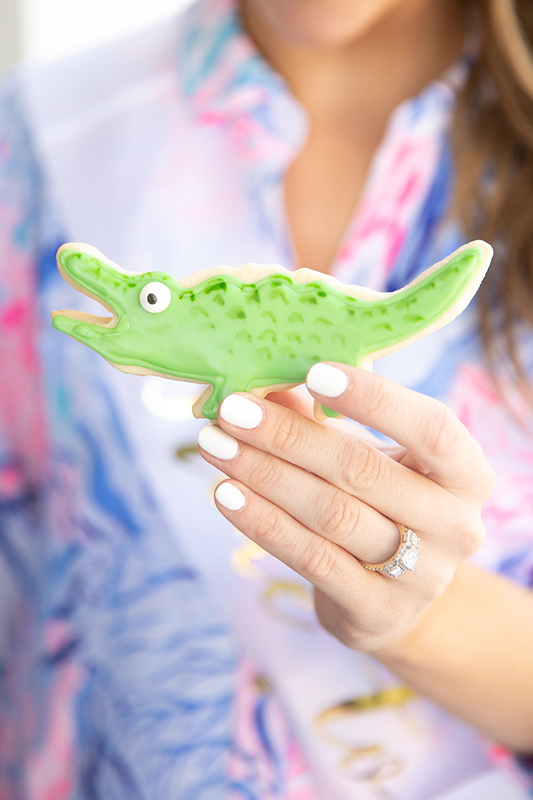 Plus, she’s just as sweet as her cookies! 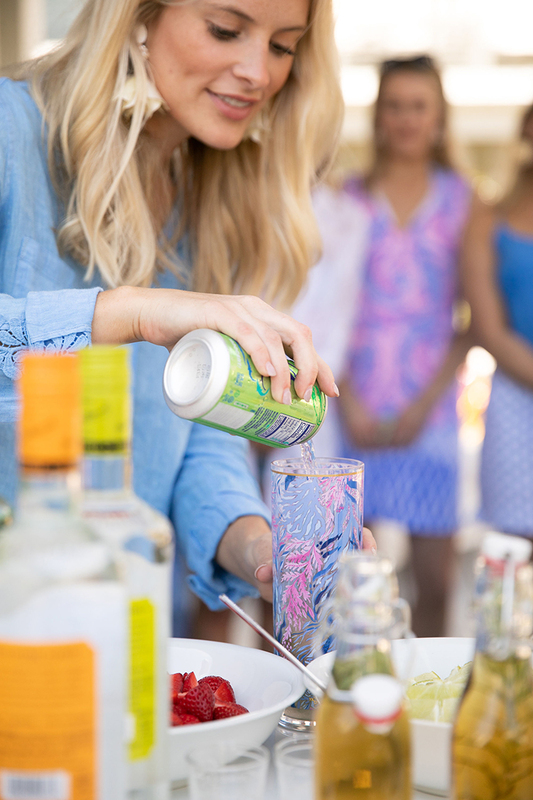 Wishing all of you a wonderful weekend, y’all! My birthday is actually tomorrow (eek!) and so my family and I are celebrating tonight with my favorite tradition, a crawfish boil! Tomorrow, Andrew and I have our couple shower, and I can’t wait to show you the dress I’ll be wearing. 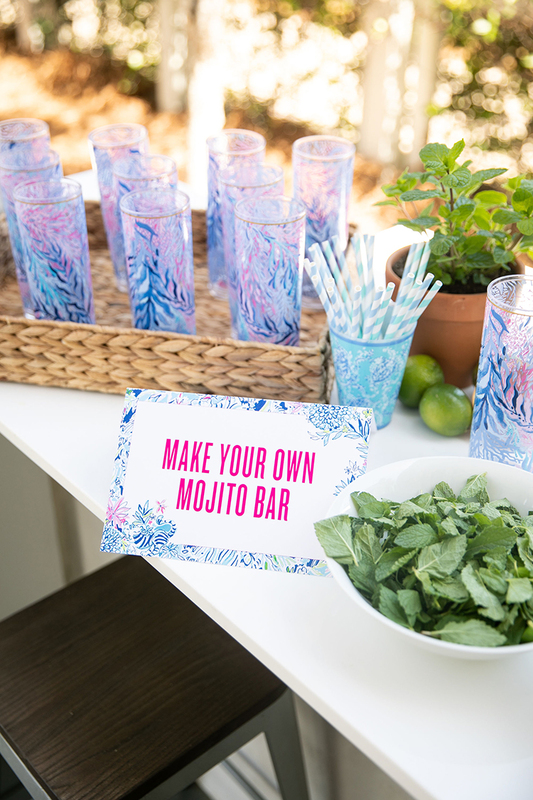 Let’s just say the party is fiesta themed, and I took to Etsy to find something truly unique! P.S. 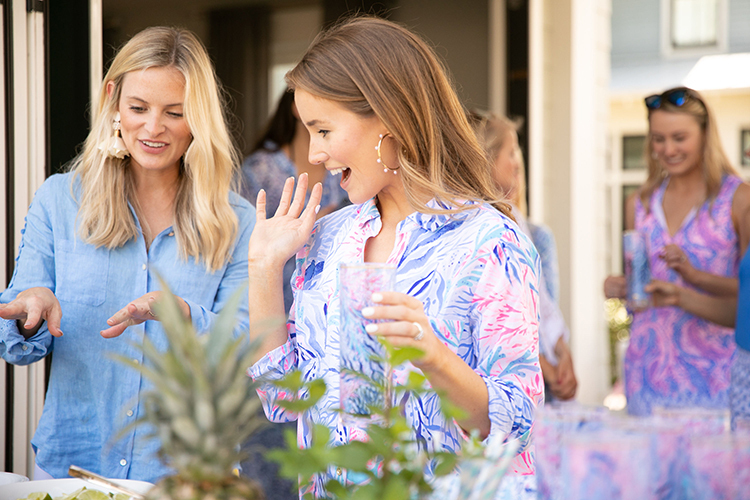 If you’re looking for details on our brunch ensembles, scroll below! 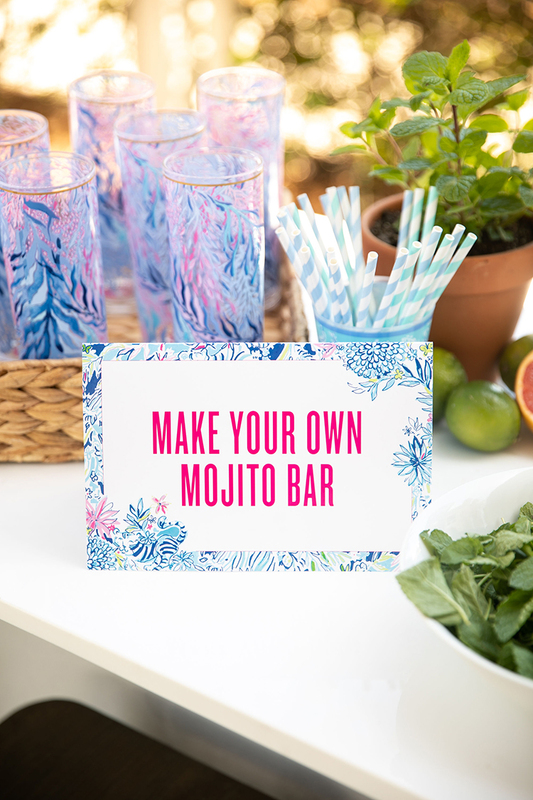 A huge thank you to Lilly Pulitzer for planning such a fabulous day, Sanders Beach Rentals for hosting us, and Elisabeth for the amazing mojito bar and cookie class! Looks amazing! 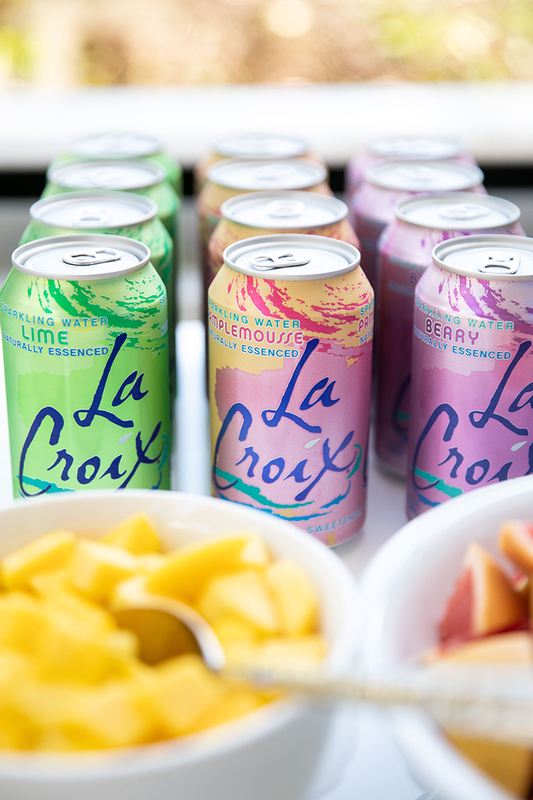 I would love to see a post sharing the La Croix Mojitos.